For other people with similar names, see Chris Neal (disambiguation). Chris Neil (born June 18, 1979) is a Canadian former professional ice hockey right winger. Neil was originally drafted in the sixth round, 161st overall, in the 1998 NHL Entry Draft by the Ottawa Senators, and played his entire NHL career with the Senators organization. Neil started out playing minor hockey in the town of Flesherton, Ontario. He later played for the Grey-Bruce Highlanders of the South-Central Triple A Hockey League before getting his junior start with the Junior "B" Orangeville Crushers. The South Central Triple A Hockey League is a minor level ice hockey league based out of Ontario. The league is one of two AAA leagues associated with the Ontario Minor Hockey Association and has a total of 10 teams. The South Central Triple A League playoffs are played in tournament style. The top two teams advance to the OMHA Championships. Junior hockey is ice hockey competition generally for players between 16 and 21 years of age. 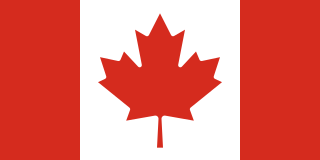 Junior hockey leagues in the United States and Canada are considered amateur and operate within regions of each country. The Orangeville Crushers were a Canadian Junior "A" ice hockey team from Orangeville, Ontario. They played in the Ontario Junior Hockey League, Midwestern Junior B Hockey League, and Mid-Ontario Junior C Hockey League. He then played three successful major junior seasons with the Ontario Hockey League (OHL)'s North Bay Centennials. In his final junior season in North Bay, Neil had a career year and gave an indication that he could be more than merely a physical presence, amassing 72 points in 66 games. The North Bay Centennials were a junior ice hockey team in the Ontario Hockey League, who played from 1982–2002. The team was based in North Bay, Ontario. Neil was drafted by the Senators in the sixth round, 161st overall, of the 1998 NHL Entry Draft. Ottawa management prized his toughness and work ethic and saw Neil as a player who would potentially fill a much needed role on the team for years to come. Neil spent two seasons with Ottawa's then-American Hockey League (AHL) affiliate, the Grand Rapids Griffins, where he posted back-to-back seasons of 300+ penalty minutes and established himself as a solid team player at the professional level. The Grand Rapids Griffins are a professional hockey team in the American Hockey League (AHL). They play in Grand Rapids, Michigan at Van Andel Arena. They are the AHL affiliate to the Detroit Red Wings of the National Hockey League, and are the 2013 and 2017 Calder Cup Champions. Leading up to the 2001–02 season, Neil had a strong training camp and made the Ottawa line-up. He made his NHL debut on October 3, 2001, against the Toronto Maple Leafs. The next night, he recorded his first NHL point in a game against the Montreal Canadiens. On October 30, he scored his first NHL goal, against the Atlanta Thrashers. In his rookie season, Neil appeared in 72 games and scored 17 points, while accumulating 231 penalty minutes and establishing himself as a fearless combatant. During the 2002–03 season, Neil had ten points in 68 games and led the Senators with 147 penalty minutes. The next year, he again led the Senators in penalty minutes, with 194. The 2005–06 season saw Neil's role with the Senators expand. When Brian McGrattan made the Ottawa line-up out of training camp, much of the responsibilities as "team enforcer" were lifted off Neil's shoulders, and he was given the opportunity to contribute in a more offensive role. He responded, and posted the best offensive totals of his NHL career with 16 goals and 33 points. The following season, Neil posted similar numbers with 12 goals and 28 points while leading the NHL in hits. The coaching staff rewarded him with special teams assignments, and he received regular power play shifts. Neil with the Senators in 2010. As the 2007–08 season unfolded, Brian McGrattan saw very limited ice time, and Neil was once again called upon to act as the Senators' enforcer and primary physical presence on many nights. As a result, his offensive production declined, though he did finish the season with a respectable 20 points. Acknowledging his leadership role with the organization, the Senators named Neil an alternate captain on September 14, 2013. He scored his 100th career regular season NHL goal on January 23, 2014, against Ben Bishop of the Tampa Bay Lightning. Before Neil was married, he and fellow Senator Mike Fisher were roommates. The pair remained close friends to this day, and are both devout Christians. On June 1, 2007, Neil and his wife, Caitlin, celebrated the birth of their first child named Hailey Jean, weighing 6 lbs. and 10 ounces. In the next game, he scored a goal that he dedicated to her. Neil counts Denis Savard as his favourite player growing up. He lists four-wheeling, boating and horseback riding as his favourite hobbies. Daniel Alfredsson is a Swedish-Canadian retired professional ice hockey player. He spent 18 seasons in the National Hockey League, 17 with the Ottawa Senators and played his final year with the Detroit Red Wings. Jason Rocco Anthony Spezza is a Canadian professional ice hockey centre who currently plays for the Dallas Stars of the National Hockey League (NHL). Denis Charles Potvin is a Canadian former professional ice hockey defenceman and team captain for the New York Islanders of the National Hockey League (NHL). He is a four-time Stanley Cup winner as a member of the early 1980s New York Islanders. He is also a three-time James Norris Memorial Trophy winner as the NHL's top defenceman. He was elected to the Hockey Hall of Fame in 1991 and served as a commentator for Ottawa Senators' television broadcasts on Sportsnet. He is currently the color commentator for the Florida Panthers. Potvin was born in Vanier, Ontario, but grew up in Hull, Quebec. In 2017, he was named one of the "100 Greatest NHL Players" in history. Chris Phillips is a Canadian businessman and retired professional ice hockey player. Phillips was a member of the Ottawa Senators for his entire career, which began with the 1997–98 season and ended with the 2015–16 season. He was regarded as a stay-at-home defenceman. The Senators drafted him first overall in the 1996 NHL Entry Draft. Phillips retired in 2016 after spending a season on the injured list. Phillips played 1,179 games with Ottawa in the regular season making him the longest serving player in Senators franchise history. In addition, he played in 114 playoff games. Christopher Kelly is a Canadian former professional ice hockey player. Kelly played for the Ottawa Senators, Boston Bruins and Anaheim Ducks of the National Hockey League (NHL). He was a member of the Bruins' 2011 Stanley Cup-winning team. Since September 2018, Kelly has served as development coach for the Senators. Charles Bradley "Brad" Marsh is a Canadian retired professional ice hockey player who played as a defenceman in the National Hockey League (NHL). Marsh played for the Atlanta Flames, Calgary Flames, Philadelphia Flyers, Toronto Maple Leafs, Detroit Red Wings and Ottawa Senators over a 15-year NHL career. He played for the Prince of Wales Conference in the 1993 NHL All-Star Game, scoring one goal. Matthew "Matt" Carkner is a Canadian former professional ice hockey defenceman. 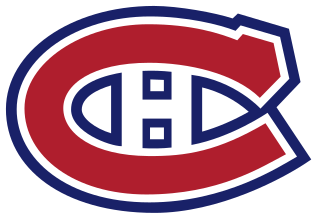 He was drafted by the Montreal Canadiens 58th overall in the 1999 NHL Entry Draft and played in the National Hockey League (NHL) for the San Jose Sharks, Ottawa Senators, and New York Islanders. The 2006–07 Ottawa Senators season was the 15th season of the Ottawa Senators of the National Hockey League (NHL). This season saw the team rebound from a disappointing early exit from the 2006 playoffs. The team made its first appearance in the Stanley Cup Finals, losing to the Anaheim Ducks. After numerous personnel changes at the start of the season, the team had a poor record until December. The poor record sparked numerous trade rumours in the media. The team turned their play around to place second in the division and won three playoff series to make it to the Stanley Cup Finals, the first in Ottawa in 80 years. Peter Regin Jensen is a Danish professional ice hockey player who is currently serving as captain for Jokerit of the Kontinental Hockey League (KHL). He was drafted by the Ottawa Senators in the third round of the 2004 NHL Entry Draft and played his first five NHL seasons with the organization. Prior to his NHL career he played professionally in Europe. Dennis Vial is a Canadian retired professional ice hockey player. Vial played in the National Hockey League (NHL) with the New York Rangers, Detroit Red Wings, and Ottawa Senators. He also played in the North American minor leagues and European leagues. He played defence and was known for his toughness. The 1992–93 Ottawa Senators season was the inaugural season of the modern Ottawa Senators. Despite winning the first game of the regular season on October 8, 1992, the Senators would only win nine more en route to their worst season ever. The team recorded three NHL records that season: the longest home losing streak of eleven, from October 27 to December 8; the longest road losing streak with a total of 38, from October 10 to April 3 and fewest road wins in a season, with just one victory. The 1995–96 Ottawa Senators season was the fourth season of the Ottawa Senators of the National Hockey League (NHL). This season was plenty of change for the club. The club changed coaching staffs twice, changed their general manager and moved into the new Palladium arena in Kanata. The team would again finish last in the league, even though they knocked the defending Stanley Cup champion New Jersey Devils out of playoff contention on the last game of the season. The 2007–08 Ottawa Senators season was the 16th season of the Ottawa Senators of the National Hockey League (NHL). The Senators started strongly in the regular season, but the team slumped after Christmas, and just barely qualified for the playoffs. The slump caused the Senators to fire John Paddock, who was in his first season as head coach. The Senators lost in the first round, losing in a sweep by the Pittsburgh Penguins. James Patrick O'Brien is an American professional ice hockey forward for the Belleville Senators of the American Hockey League (AHL) while under contract to the Ottawa Senators of the National Hockey League (NHL). Erik Sven Gunnar Karlsson is a Swedish professional ice hockey defenseman for the San Jose Sharks of the National Hockey League. 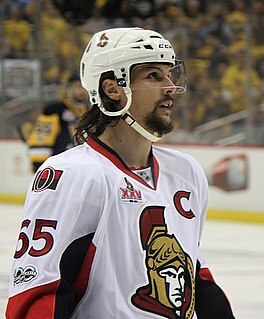 Karlsson was drafted in the first round, 15th overall, by the Ottawa Senators at the 2008 NHL Entry Draft. Karlsson is a two-time winner of the James Norris Memorial Trophy as the NHL's best defenseman, winning the award in 2012 and 2015. Andy Hedlund is an American former professional ice hockey defenseman. He played for the Trenton Titans, Binghamton Senators, Hershey Bears, Krefeld Penguins, Adler Mannheim, DEG Metro Stars and EHC Black Wings Linz in his career. Mark Stone is a Canadian professional ice hockey player for the Vegas Golden Knights of the National Hockey League (NHL). A right winger, he was selected by the Ottawa Senators in the sixth round, 178th overall, of the 2010 NHL Entry Draft. He tied Johnny Gaudreau to lead all NHL rookies in scoring during the 2014–15 season with 64 points and received a nomination for the Calder Memorial Trophy as the NHL's top rookie. Drake Batherson is an American-born Canadian professional ice hockey player currently playing for the Belleville Senators of the American Hockey League (AHL) as a prospect for the Ottawa Senators of the National Hockey League (NHL). ↑ "Chris Neil profile at sportsnet.ca". sportsnet.ca. Archived from the original on December 23, 2008. Retrieved December 30, 2008. ↑ "Chris Neil profile at hockeydb.com". hockeydb.com. Retrieved December 30, 2008. ↑ Chris Neil Takes Less Money to Stay in Ottawa, TSN.ca, retrieved on October 1, 2009. ↑ "Neil a Senator for three more years". Canoe.ca . July 10, 2012. Retrieved July 10, 2012. ↑ "Ottawa Senators' Chris Neil takes high road over anti-NHLPA comments by Washington Capitals' Roman Hamrlik". Canoe.ca . December 12, 2012. Retrieved December 12, 2012. ↑ "Chris Neil Player Profile". The Hockey News . April 5, 2015. Retrieved April 5, 2015. ↑ "Neil wants to stay with Senators, for now". Ottawa Sun . February 13, 2015. Retrieved February 13, 2015. ↑ "Countdown to the deadline: Senators". ESPN . February 13, 2015. Retrieved February 13, 2015. ↑ "Chris Neil injured in fight, out indefinitely". Canadian Broadcasting Corporation . February 14, 2015. Retrieved February 14, 2015. ↑ "Chris Neil signs contract extension with Senators". Canadian Broadcasting Corporation . February 28, 2016. Retrieved February 28, 2016. ↑ "Senators' forward Neil celebrates 1000th NHL game". National Hockey League . December 10, 2016. Retrieved December 10, 2016. ↑ Garrioch, Bruce (June 14, 2017). "Chris Neil and the Senators head their separate ways". Ottawa Citizen. Retrieved October 9, 2017.